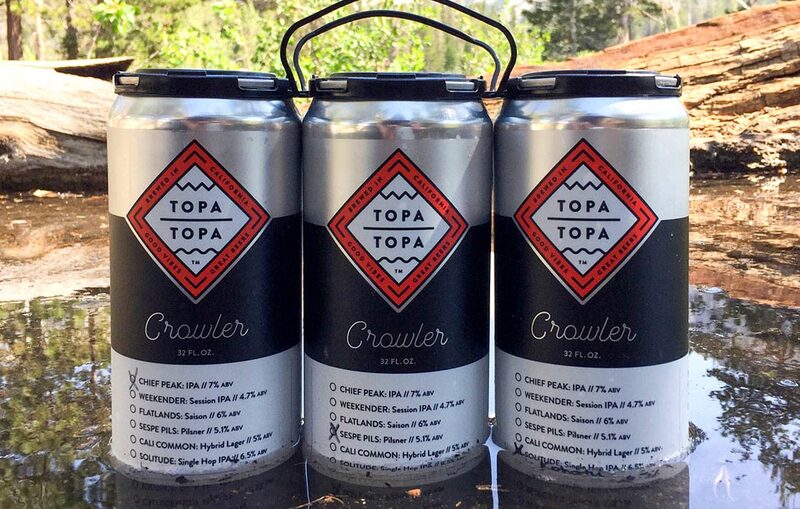 When it comes to designing new labels for your beer can releases, you may not start by considering printing methods and materials that can provide unique effects. I know personally, as a designer, I would head straight to the drawing board and create label designs on my screen that would look great. It wasn’t until I started working closely with my label printer that I really started getting some fun ideas and techniques to create great looking visual effects on my beer can labels. The most economical type of can label will be pressure sensitive labels (PSL). To get out of the industry jargon, that is essentially self-adhesive labels, stickers. Using pressure sensitive labels allows you to produce much less quantities of labels and not have to commit to larger production numbers. 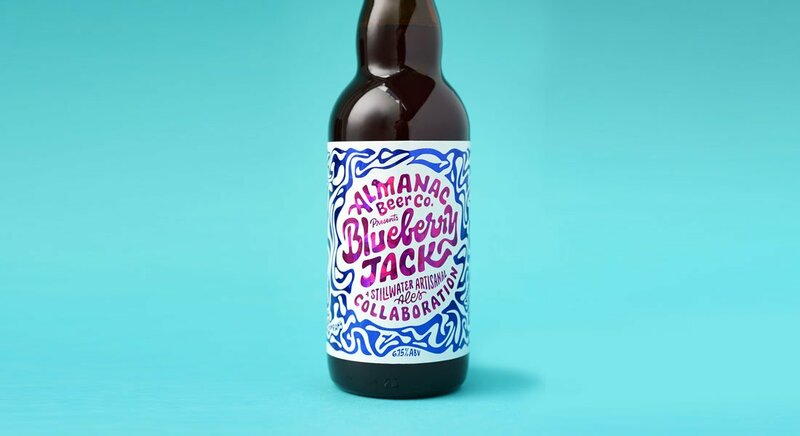 Design ideas you can use to create unique beer labels. A good and durable can label material will be printed on a clear plastic film. You may not have considered that these labels are typically printed on a clear material that has a white layer put over the clear to print on. You typically think of printing as going on a white material, like paper. Once you realize that you are designing labels on a clear material, you can start to get creative with leaving areas transparent to allow the silver can to show through. This starts to create a lot of great depth on your designs where the opaque colors on the white areas really pop. Take a look at these examples to get some ideas. You can create the look of a custom die-cut label shape by creating a unique label shape and leaving areas of your label clear. Of course, you could pay some extra money to create a custom die that would cut your labels to custom shapes. Having custom label shapes can really make your label stand out on busy shelves and reinforce the strength of your branding. Next time you are looking on the shelf, notice how many labels fit the can or bottle entirely, and how labels that have custom shapes really stand out. 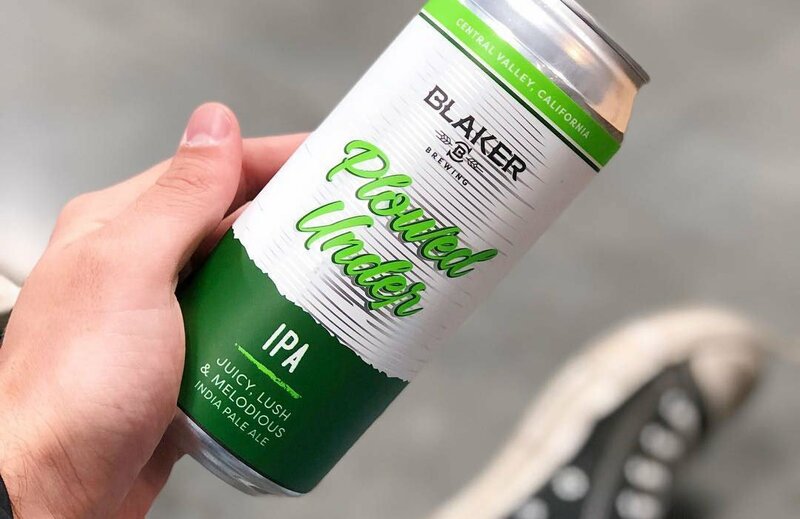 You can also print using colors over the clear label to create a color metallic effect when the color overlays on the silver can. This can create a rich effect where you have solid printed colors next to a metallic color finish. It almost makes it look like you spent extra money to use metallic color foils as an extra touch. This would lead me to the next idea which is printing on metallic film. There is one possible downside to creating this metallic effect using the clear materials, and that can be visible air bubbles once applied to the cans. One great way to address this issue, is to start with a metallic label material instead of relying on clear and the silver of the can. That way, you have a solid metallic base material to print your custom designs on. One way to get a great feel and high-end look is to go with a matte laminate over your printed labels. This can add an extra cost because of the laminate, but adds a really great finish and look! Essentially, the printer uses the standard printing methods on a glossy plastic film, but lays a matte laminate over the label. Going for the high-end wine or spirits look using papers and printing techniques. 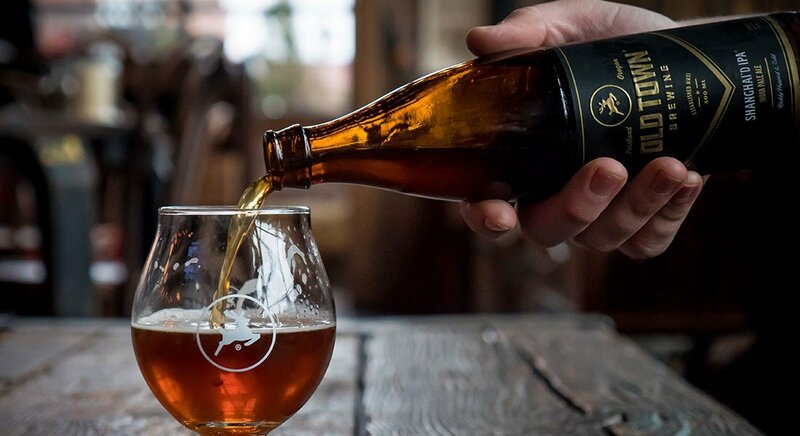 You might be putting out a special barrel aged release and really want this to appeal to the high-end market. I can’t deny that a gorgeous bottle with a nice soft paper label is really attractive. One thing you need to be aware of is what some folks will call the “ice bucket test.” Part of the reason most beer labels are printed on a plastic film is because of how well it holds up. If you were to use a regular paper stock to get a nice feel and softer look, you can run into issues if it gets wet. However, there are now material manufacturers that are creating uncoated and textured papers or materials that can hold up to the ice bucket challenge. When you go with a soft paper with texture, some great options to really stand out would be to use actual foil stamping or embossing methods. Using touches of color foils on these uncoated materials really creates a great effect. When it catches the light, you can really notice the foil against the softer background. 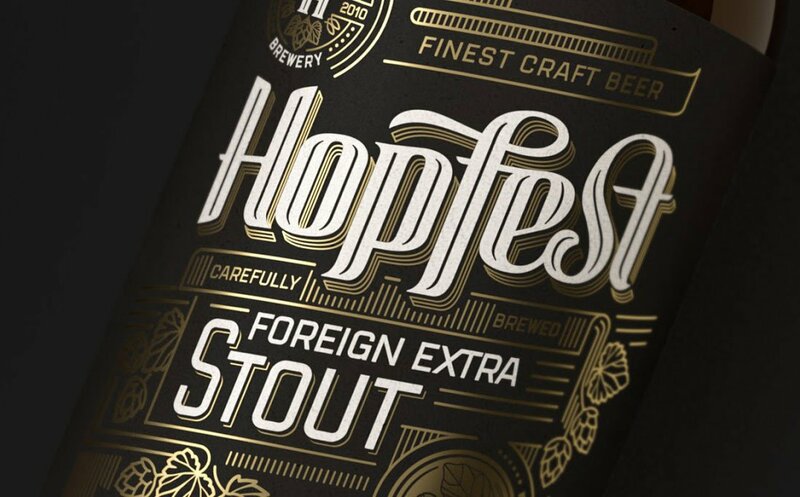 A nice subtle, but really elegant effect, is to have elements in your design embossed and raised off the label. This can be a great way to add some more feel to your labels and have design elements subtle, yet effectively pop on your label. You can have a logo embossed with no printed ink, for instance, and in most cases you can still clearly see the logo, but in a nice subtle way. Our Podcast, Branding Brews, had an episode covering label materials and printing techniques. Take a listen!